My second attempt to cross the Baltic was a success! I set out in the inky pre-dawn darkness on Friday morning and boarded the ferry in Helsinki six hours later, bound for Tallinn. The trip across the sea took 2 and a half hours, on a ferry that felt slightly more massive than the Spirit of Tasmania. Being a Friday afternoon, I realised that the majority of passengers were Finns heading south for a cheap drunken weekend. 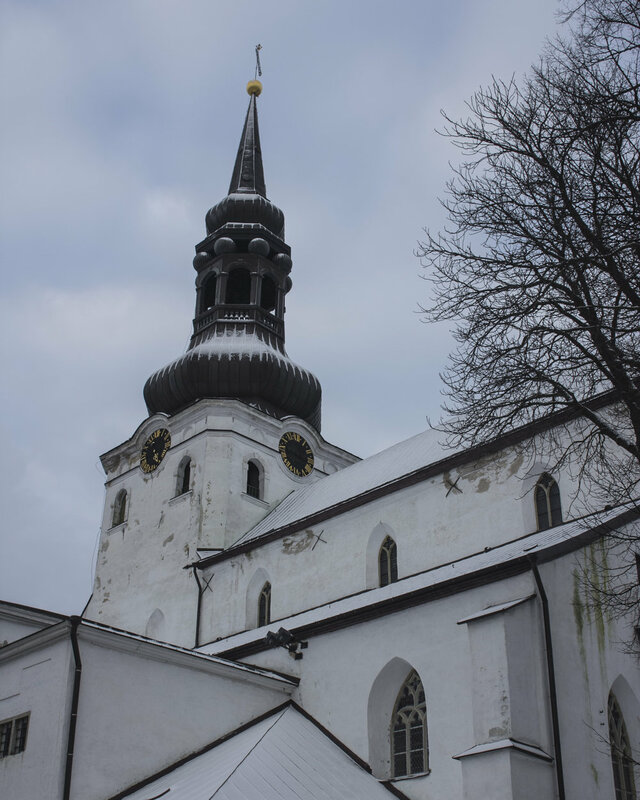 From my brief impression, Estonia is a really interesting place. There's an odd combination of influences from Russia and Scandinavia which have amalgamated into something else entirely. I also can't get my head around the fact that it's actually a really young country. If you count from when it gained independence (1991) then that makes me older than Estonia. The voyage was calm and uneventful, unlike the nightmare fuel of the Orkney trip. 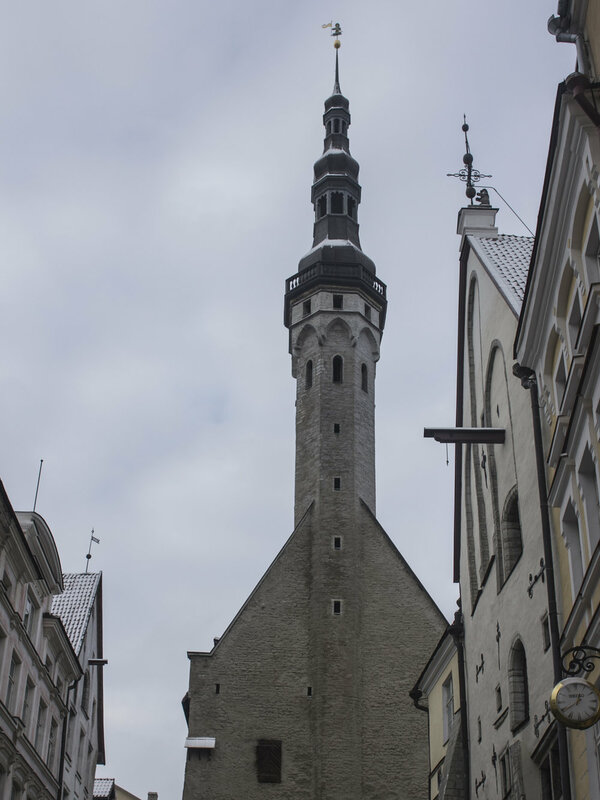 The centre of Tallinn is fairly compact, so it was easy to navigate and get to everything on foot. I stayed in the touristy but incredibly well-preserved Old Town, the entirety of which is a UNESCO World Heritage Site. A fortified wall surrounds the site and inside is a dense hodgepodge of churches, cathedrals, merchant houses and a tangled mess of narrow cobblestoned streets and alleyways connecting everything together. My hostel was hidden away in an old but otherwise comfortable building, apart from a noxious waft of BO hanging around in one of the corridors. Being the low season, I had the 6-bed dorm pretty much to myself. When it came to dinner I soon realised that everything was blissfully cheaper in Estonia. I'm sure it gets even cheaper the further south you go, but I've been stuck with Nordic pricing for so long that it had become the norm in my head. Dinner on the first night was at Kompressor - a famous old pub/pancake house a stone's throw from the hostel. For a rib-sticking plate of pancakes and a pint of beer I paid €8, which is possibly how much the beer on its own would cost back up here. The next morning I had breakfast at Must Puudel - a cute cafe that looked like the den of a really hip/eclectic Soviet-era babushka. From there I spent the morning wandering the Old Town and visiting all the churches jammed in there. The orthodox Alexander Nevsky Cathedral was the most lavish of the bunch, and I lost track of the ones I could/couldn't get into after that. It felt similar to when all the temples in Kyoto started blurring together after a few days of seeing so many of them in quick succession. After a few more laps I headed across to the Balti Jaam market - which was a bit like Tallinn's version of Queen Vic Market. The huge warehouse-sized building had everything inside - fresh produce, butchers, fishmongers, booze, cheese, food stands, antiques, second hand clothing and other random knickknacks. If I had the patience I could've spent an entire day in there just eating and scavenging through the packed alcoves of Soviet/Baltic bits and pieces. 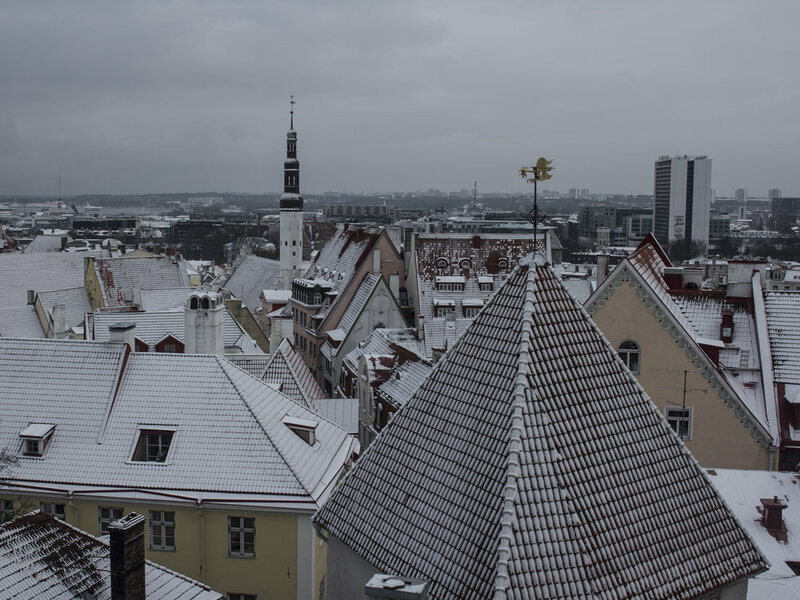 But lunch was calling so I kept going and ended up in the Kalamaja district - the Collingwood of Tallinn. There I had lunch at F-Hoone - a cheap but painfully cool restaurant inside an old warehouse. Afterwards I wandered the Telleskivi Creative City, which is a former industrial complex turned into an interesting creative hub for artists, designers and start ups. The next day I caught a tram to Kadriorg Park - a huge park that I could imagine being lush and green in the spring. In the midst of it is Kadriorg Palace, which was a summer residence built by the Russians. 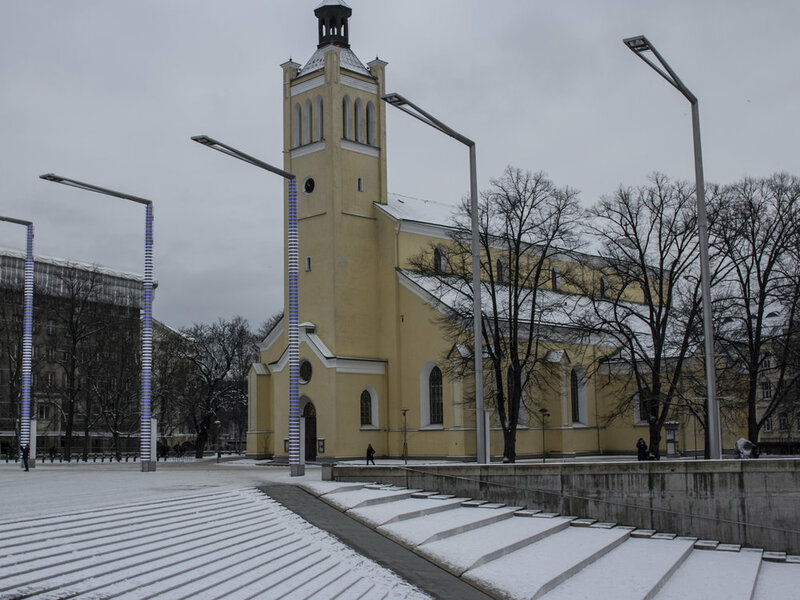 The building is now part of the Art Museum of Estonia and while not as lavish as say Versailles, it was still an impressive piece of Baroque architecture. Nearby was the more modern Kumu, which had a larger collection comprising Estonian art from the 18th century to the present day. There were four floors of incredible work to get through, and my brain felt pretty overwhelmed by the end of it. After a quiet night and a second breakfast at Must Puudel this morning, I hopped on the noon ferry back to Finland and made it home to Korpo a mere 8 hours later. All in all it was a great weekend. 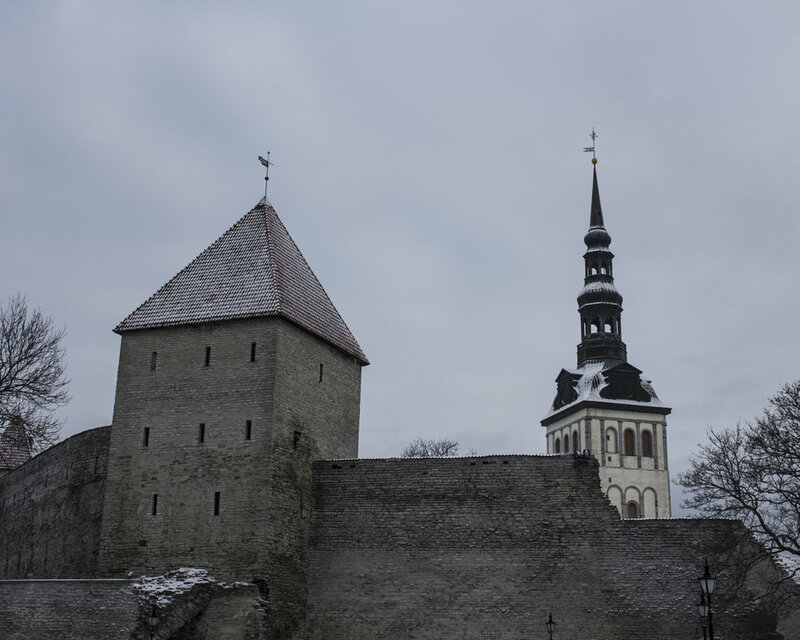 Estonia was never on my radar and I especially didn't think that I would tick it off on this trip, but here we are.